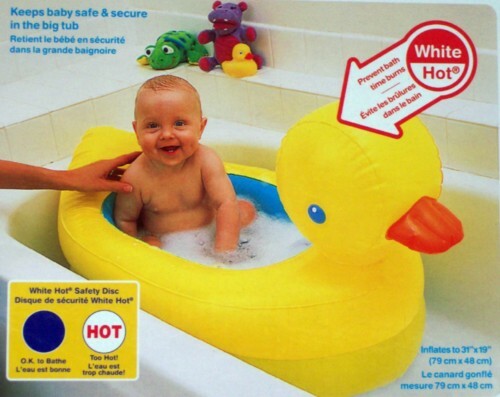 A safe, comfortable tub that tells you when the water is too hot. Contoured headrest makes hair-washing easy. Textured non-slip surface keeps baby steady. Inflates to 31" x 19"